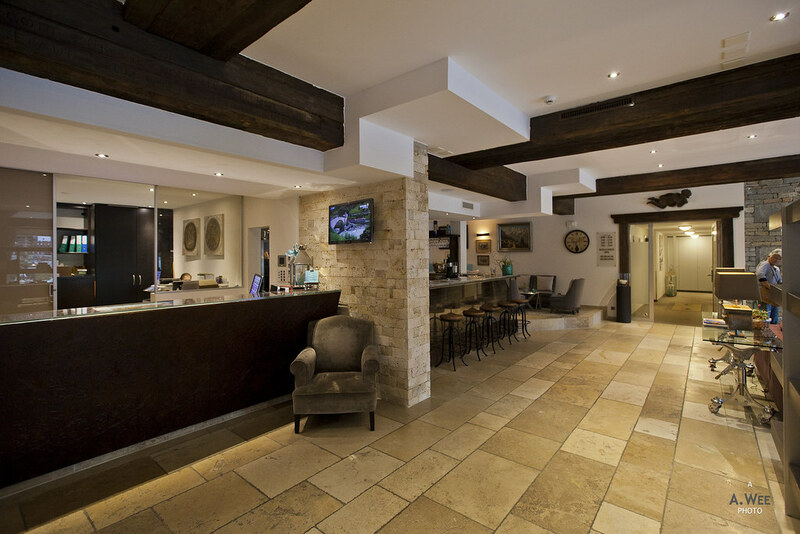 This would be the first hotel I review in Switzerland as the prior 3 I stayed in the country were mediocre city hotels with not much to be covered since I was only staying for one night. For the Zermatt stay, we stayed here for 2 nights as it is already a hassle to get to with drivers required to park their car in an adjacent town and taking a train to the car-free village of Zermatt, right in the middle of the Swiss Alps. We chose to stay at Schlosshotel because it was located within walking distance from the train station. The hotel also has a shuttle service on demand between the train station and the hotel, which is probably 5 minutes by walking. Arriving quite late in the afternoon, there was no one else in the reception desk and we were checked in quickly with our rooms being ready for us. The front desk receptionist also gave a comprehensive overview of the resort, indicating the restaurant beside the reception where breakfast is served at and providing maps of the mountains and schedules for the train to Gornergrat observatory. One of the rooms we had booked was a double room and another a triple room, and while they are not side by side, both rooms were on the same floor. The double room was upgraded into a Junior Suite so that was a real nice treat for my parents. 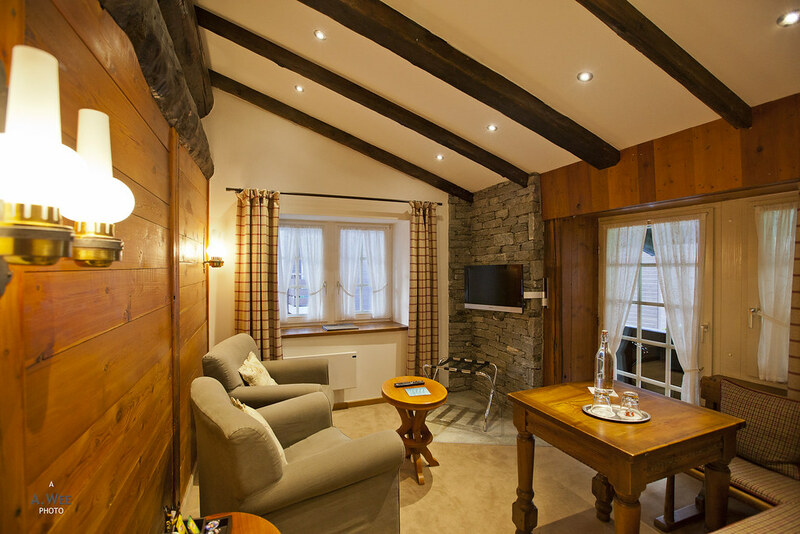 The double junior suite is located at the end of the corridor on the second floor. 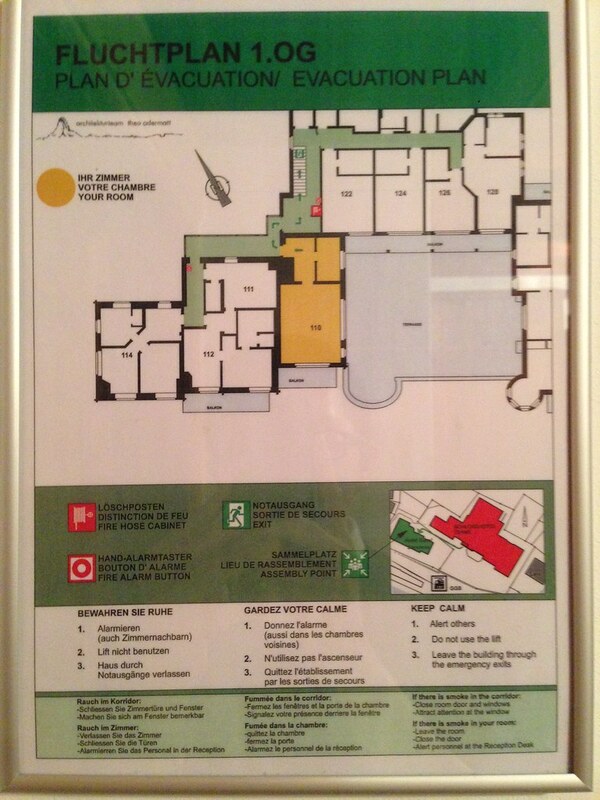 While there is one elevator in the hotel, staying on the second floor also makes it convenient to use the stairs. There is a sort of foyer on entry and the bathroom is located on the right of the foyer. 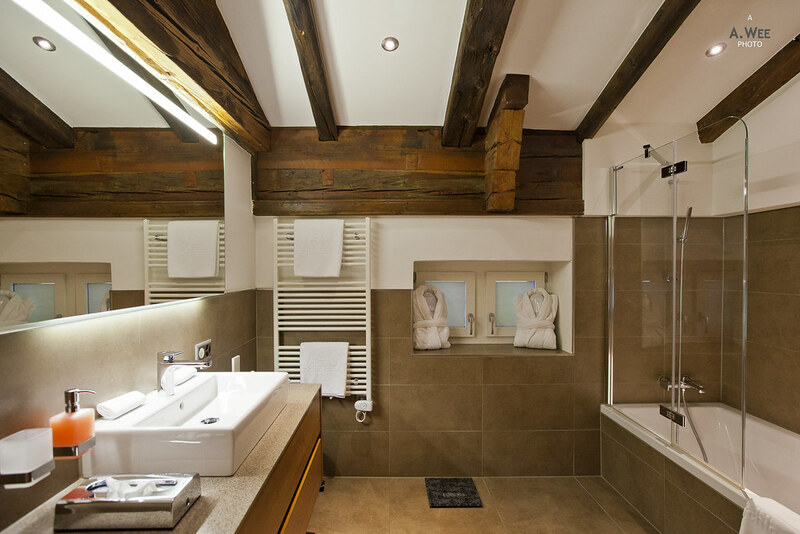 For a rustic looking room decor, the bathroom is very modern and looks fresh. It was also very spacious with a bathtub and shower combination that is fitted with a glass partition to prevent water from splashing everywhere. 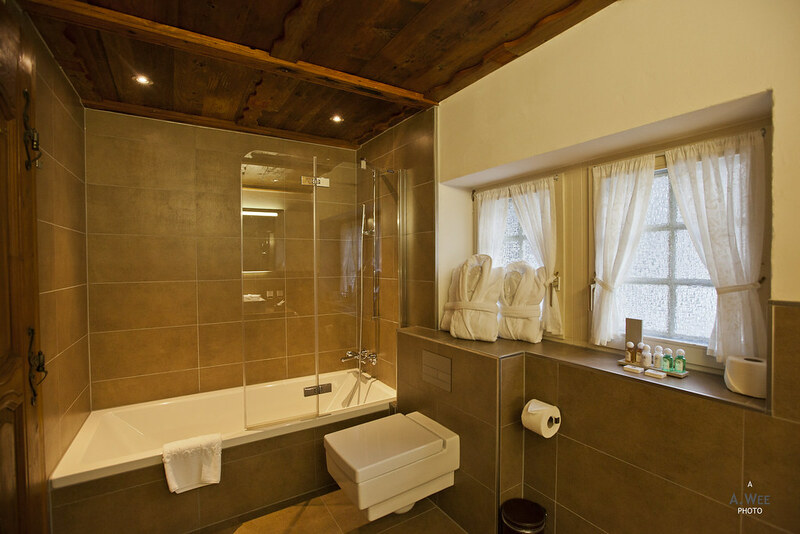 Bath amenities for both rooms were similar and supplied by a Swiss company/brand. In the centre of the room lies a living room and dining area. 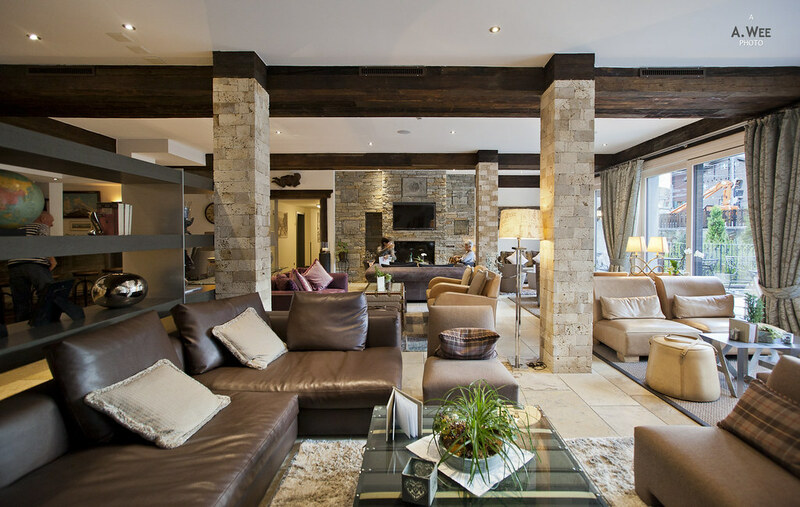 The living space comprises of 2 armchairs and a flatscreen TV hung on the stone wall. 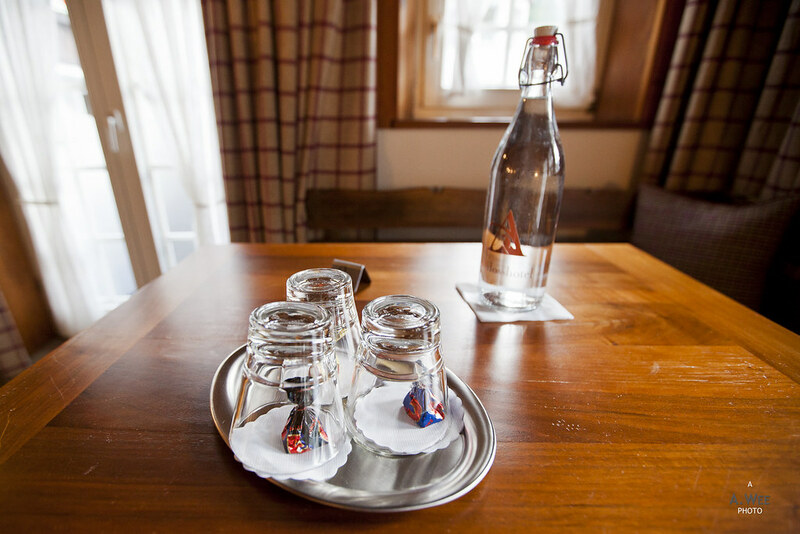 There is also an L-shaped dining space where a bottle of water with 2 glasses were placed on the table. A welcome chocolate was given for each guests as well. There is a door beside the dining table that leads to the balcony with a view over the field beside the hotel. Another room housed the double bed along with 2 nightstands. 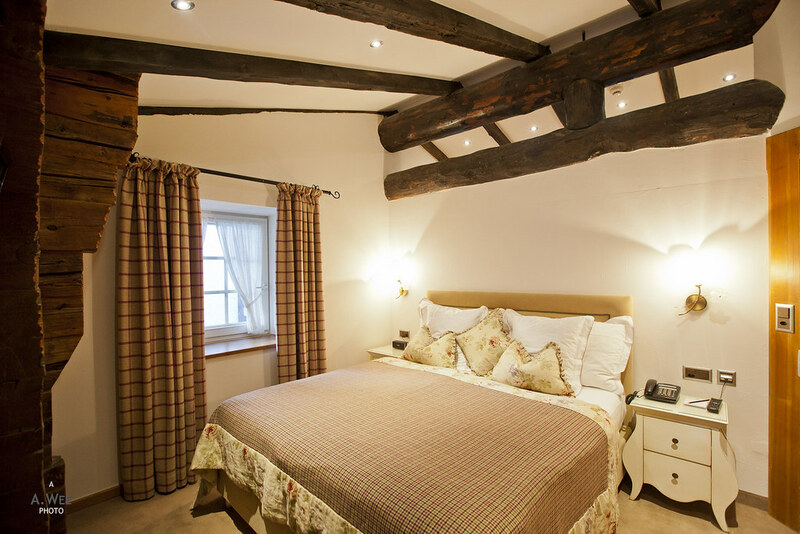 The bedroom and the living room both feature wooden beams on the ceilings and features a rustic look that was fitting for a ski town. The other room was for 3 persons and on entry, there was also a small foyer with a desk that was useful to place your belongings. There is also a low cabinet that can store your luggage while staying here for a few days. Along the foyer lies the bathroom which is as large as the one in the suite. It was also similar in design with a bathtub and shower combination. Being modern and clean, it was a very comfortable space. 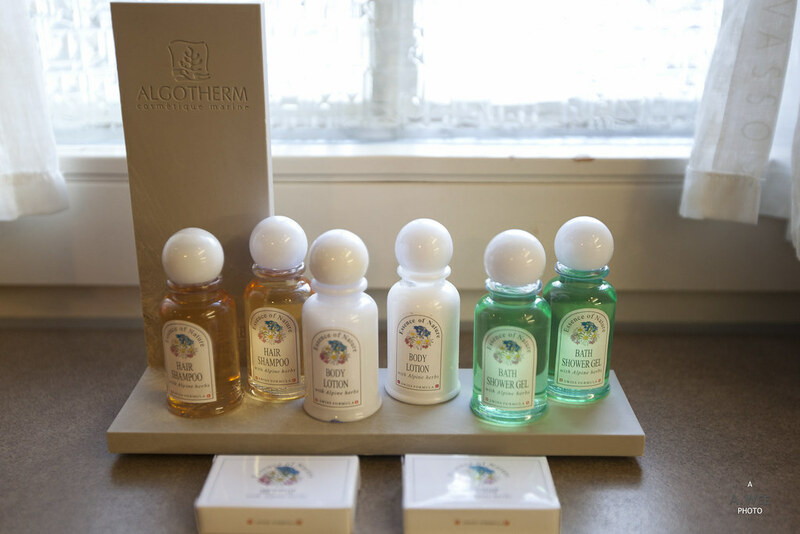 In addition, the extra occupants in the room meant the hotel did provide extra amenities for guests. Inside the main room itself, there was a sofa bed that was already prepared in advance with pillows and blankets by the housekeeping. Unlike the suite, the bedroom here is not in a separate room and there is also a larger dining space that could easily seat 4 people. 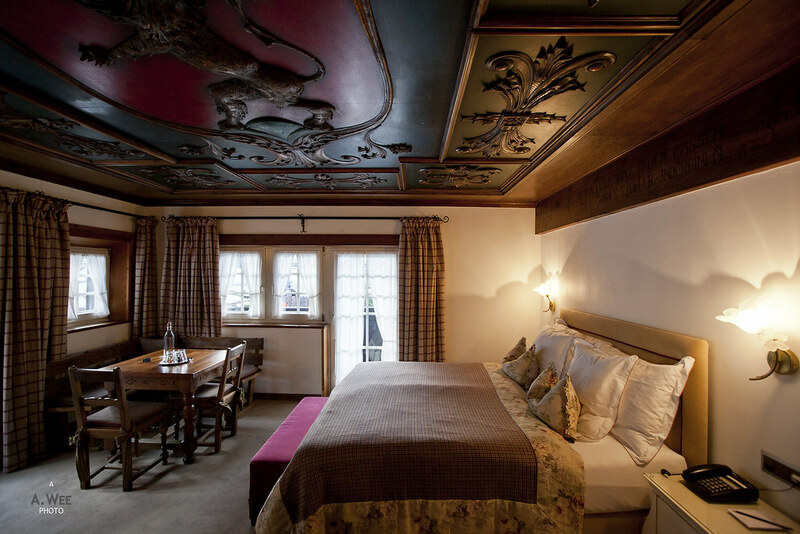 Similar to the Junior suite, there is also a door that leads to the balcony, except this room has a better view overall since it provides a peek to the peak of Matterhorn. That has got to be the better view in Zermatt right? There is another door beside the dining table that overlooks the roof of the lobby and other rooms. Both rooms included wifi which was good and provides fast access to the internet for a small village. 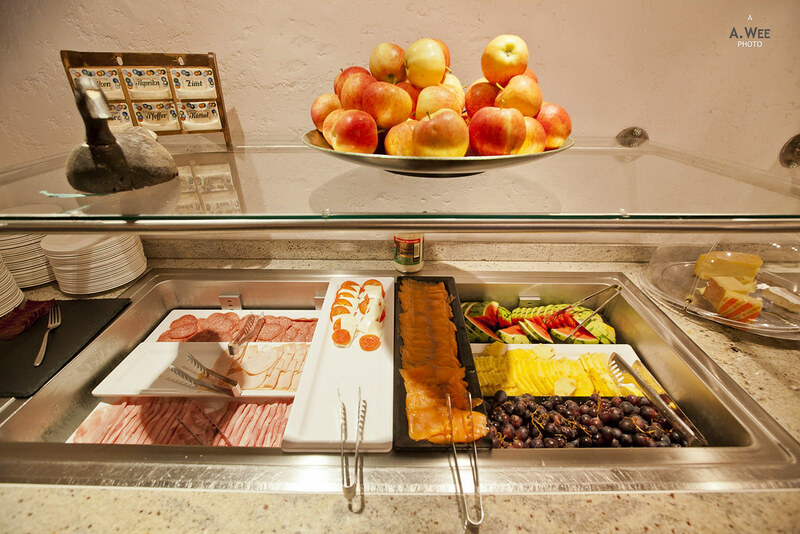 Breakfast was also included and served in the main dining room. 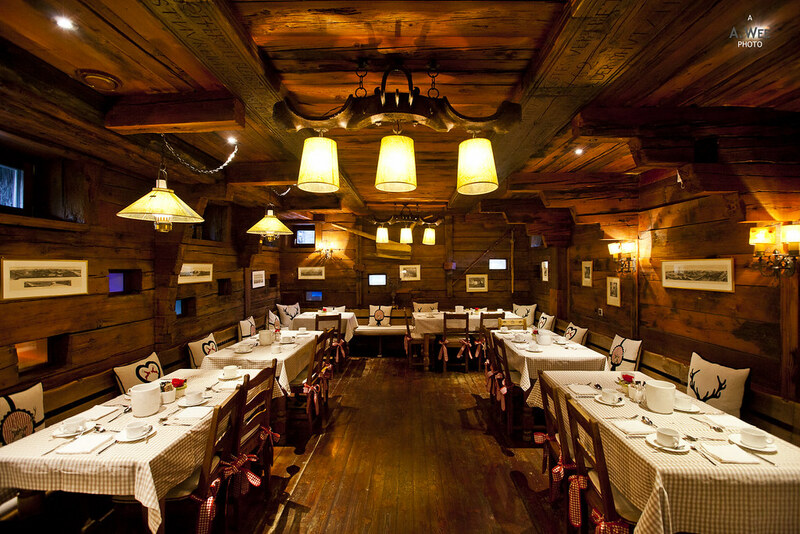 The restaurant and dining room follows the traditional Swiss mountain lodge style in terms of furnishing which are both warm and cozy. 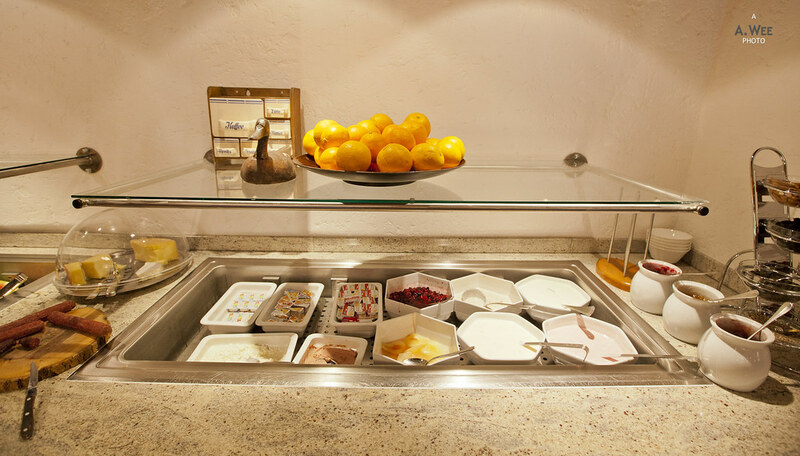 Since we are in Europe, the breakfast fare is usually continental though there was a good range of food and guests could also request for eggs done in their preference. There are also a couple of hot dishes like sausages and scrambled eggs on the counter including a ham slicing machine for guests to slice their own cold cuts. Quality of the food was generally good and the ham and cheese are definitely much better than the average Sheraton continental breakfast back in North America. Aside from the restaurant, the main lobby of the hotel was also very inviting with a lot of comfortable sofas to lounge around. 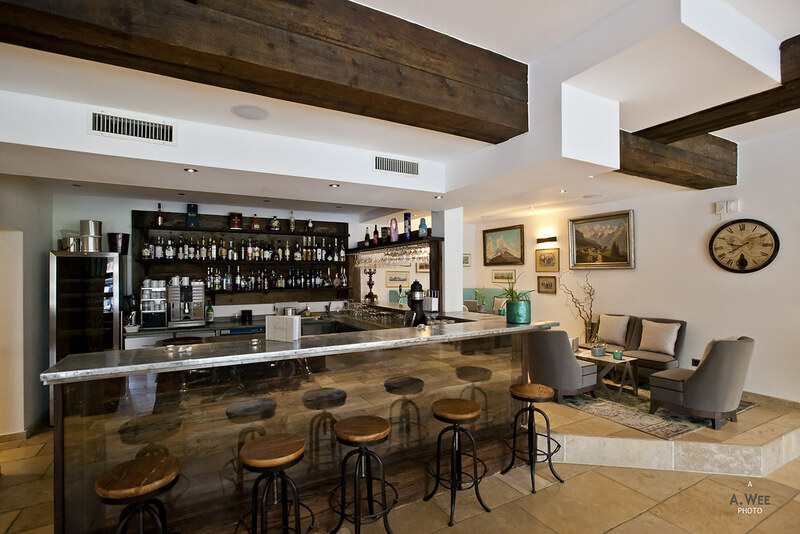 Beside the lobby, there is also a small bar area that does not seem to be used much by guests, though there are cookies and water served there during the afternoon. The hotel also has a wellness centre with a spa and swimming pool that I did not have the time to check out unfortunately. After all roaming around the mountains and the hiking/skiing is the highlight of spending your time in Zermatt and with family, the night time is spent with them. 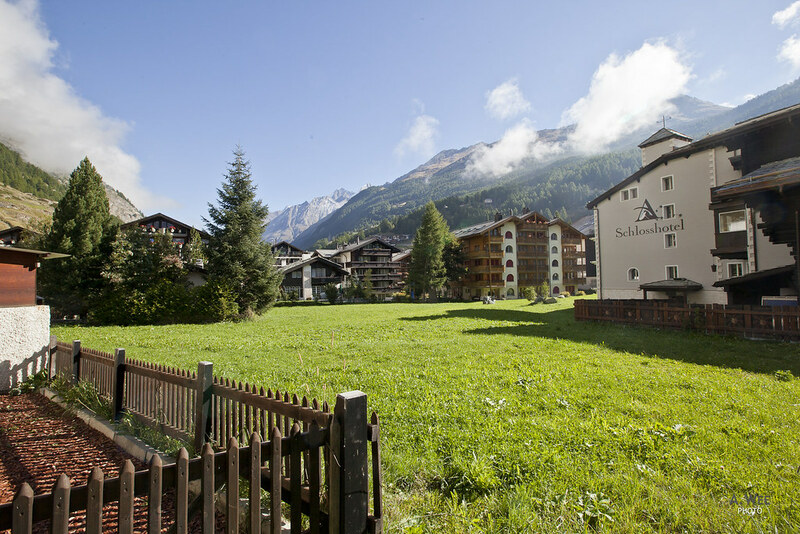 Rates were CHF260 (~$270) inclusive of taxes for the double room which was reasonable considering it was nicely appointed and includes breakfast and wifi. Service within the establishment seems to be on par with most Swiss hotels that places the guests’ needs as a priority. It seems they always try to make it work for any requests and for that I had a positive stay overall. 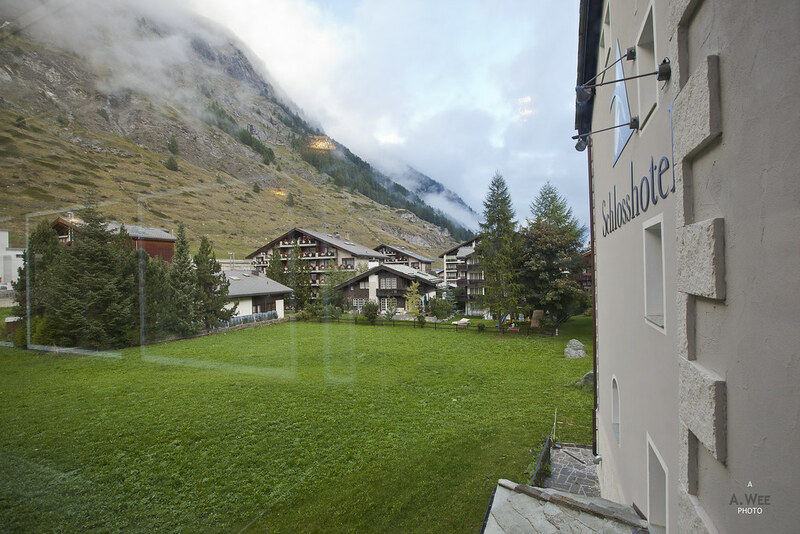 apart from this hotel, is there other hotel in zermatt you would recommend? 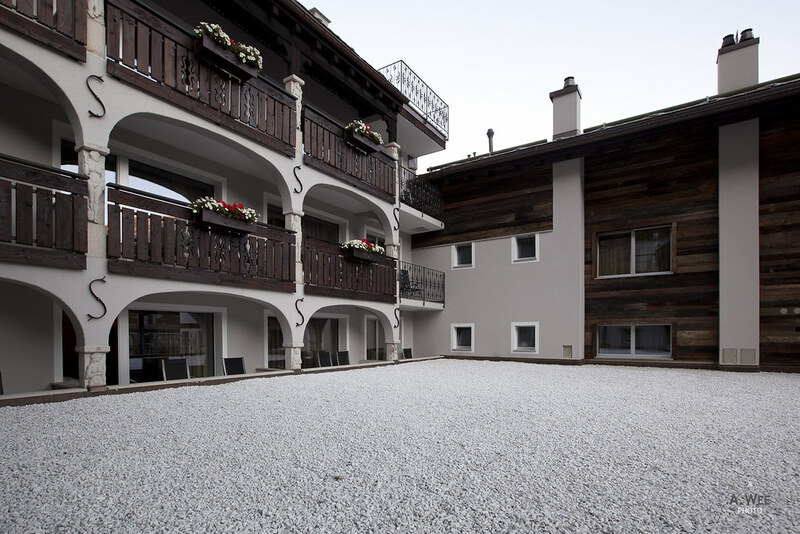 @zzzisle, it was the only hotel I stayed in Zermatt, so I have got no other comparison. However if you have a lot of luggage, I suggest picking a hotel near the main train station for your convenience.